I am Friederike, a student Biology at the University of Göttingen, Germany. My main research interest is the behavioral ecology and sociobiology of vertebrates. I have been in “La Forêt des Singes” in Rocamadour, France, as a research assistant for a Master student for three months. 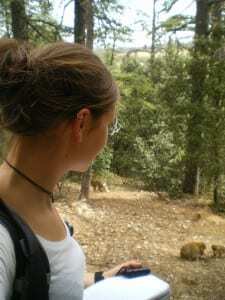 In July 2011, I came to Morocco to study the post-conflict behavior of male Barbary macaques. Although the observation of free-living monkeys comes along with some challenges, I still prefer it because it offers plenty of advantages, not just concerning to the monkeys, but also the experiences one can make in the forest. 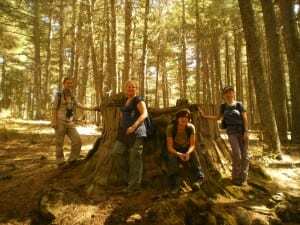 Last month the Moroccan Primate Conservation foundation [MPC] member Els van Lavieren and her team of volunteers and research assistants arrived in Azrou. 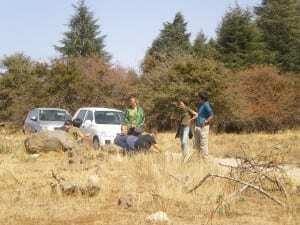 They are working in the Ifrane National Park examining the wild Barbary macaque population, forest’s degradation/regeneration, and livestock occurrences in this area. 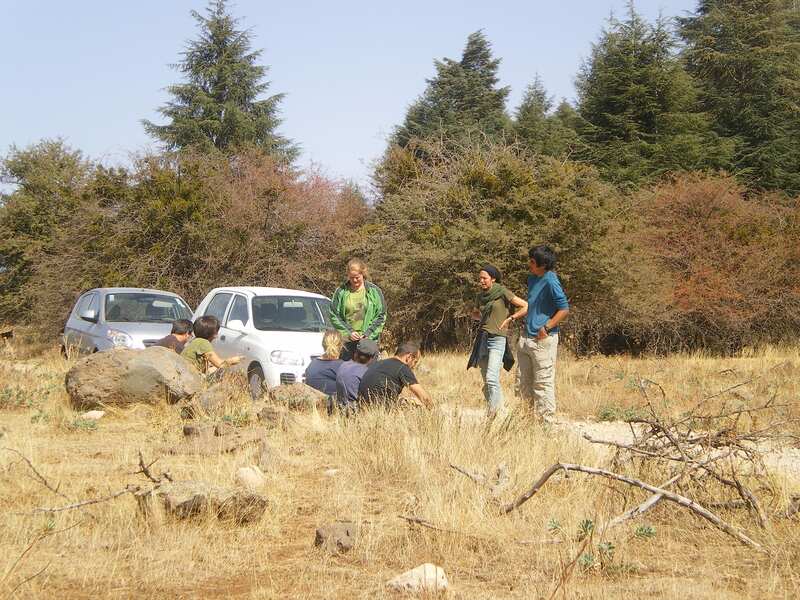 They are also organizing a meeting to work out long term conservation policy for the Macaques in Morocco. This conference will take place in Azrou, on the 12th and 13th of October. For more information about the MPC check their webpage www.mpcfoundation.nl or visit them on facebook. Today we joined the MPC – team, about which I would like to briefly report. We (Sandra and her boyfriend, Barbora, Neal and I) met the MPC-team at the tourist area to discuss the plan for the day. 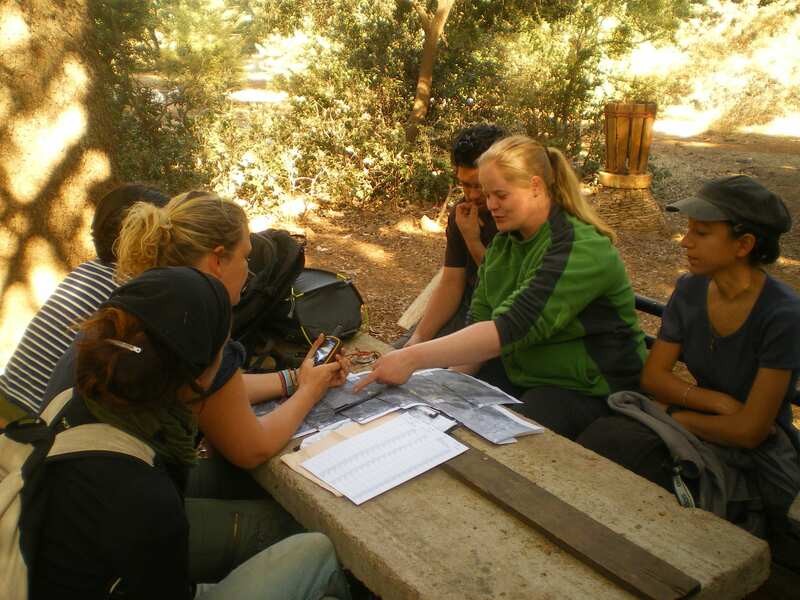 We split into two groups in order to follow the two MPC couples while doing transects. 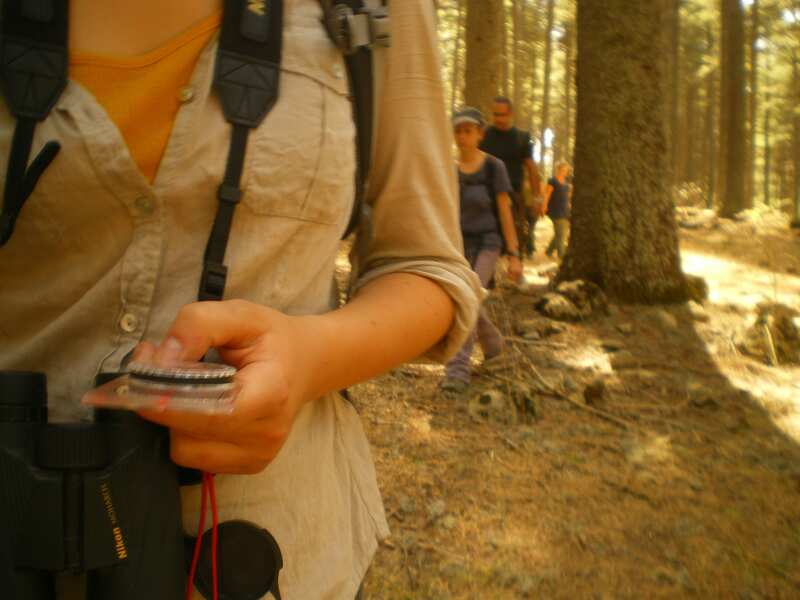 A transect is a straight pathway through the field along which you record the nature of trees, human caused damage, occurrence of humans, shepherds and livestock, and, of course, monkeys. The aim is to estimate the abundance of the monkeys and to get an idea of the situation in the forest to understand how livestock presence, forest damage, and the macaque population are correlated. While one person (today it was me) is navigating through the forest with a magnetic compass, to keep the straight line, the other one(s) continuously record the data. 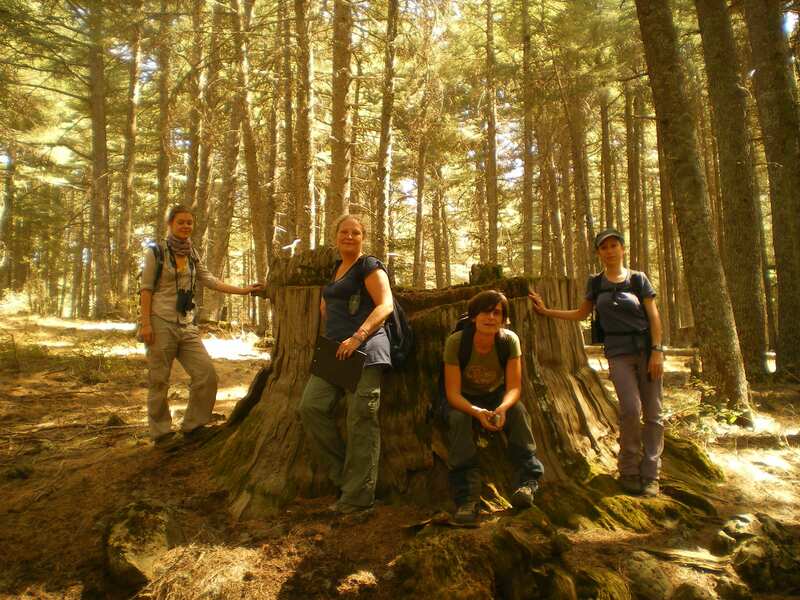 Every 500m we stopped for a “tree count”, a quantitative capture of shoots, tree population and dead standing trees. Our transect was nearly six and a half kilometers long and took us approximately four hours, but we’ve been told that it was still an easy one because the area wasn’t hilly. Unfortunately we couldn’t see any monkeys but we could, at least, hear two groups. We did see several flocks of sheep and goats, one consisted of about 150 animals. The goats cause extensive damage in the forest because the do not just browse and cut the plants but pull out whole offshoots, including the roots. To be honest, I was really shocked and depressed by the forest’s condition in that area. Not just the low number of saplings, I have also never seen so many stumps and cut branches. I hope that things will change and the forest will undergo regeneration soon, because deforestation and habitat destruction still constitute a big threat for the last free-living and endangered Barbary macaques.